As described in a previous post about people in photographs (“Where is Everybody?”) I often spend time directing people or waiting for passers by to ‘be in the right place’ for a picture. Whilst there are good reasons for doing this it does beg the question ‘what is the wrong place?’. Users of the space enliven the photograph and sometimes assist in illustrating scale and use. By placing them carefully within the frame they become a considered part of the overall composition. The flip side of this is that if they are not carefully placed within the frame then they will be upsetting the composition, as though people can be in the way, or somehow spoiling the picture. Recently I have been playing with this idea and trying to just take it as it comes. So, rather than trying to create the perfect arrangement in order to show the activity I can just show the activity. No-one is in the wrong place, they are just in place. 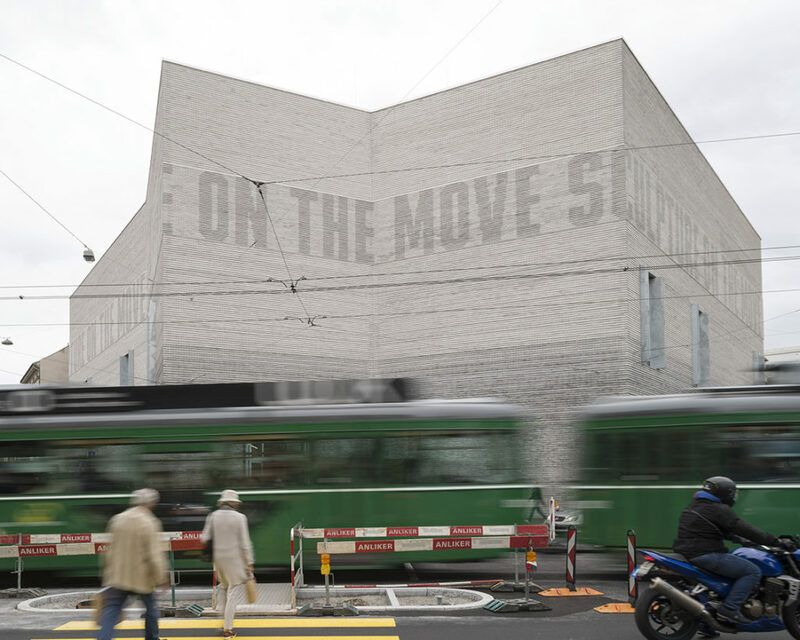 Other people want to look at and photograph the building too, are they ‘in the way?’ or do they in fact illustrate one of the building’s functions, that of ‘attraction’, or ‘destination’ for visitors to the city. By being there myself as a photographer I have become a part of this activity, am I in the way? Am I in someone else’s photograph? Activity as part of the scene: rather than try to capture ‘perfection’, or my idea of what the project ‘should’ look like why not capture what it happens to look like at that particular moment? Everything can be included, everything is relevant. Rather than wait for everything to change and fit my photograph I should ask myself ‘am I in the right place to show everything?’ Activity as part of the seen. Taking it as it comes may end up revealing more about the place than a carefully set up image would. 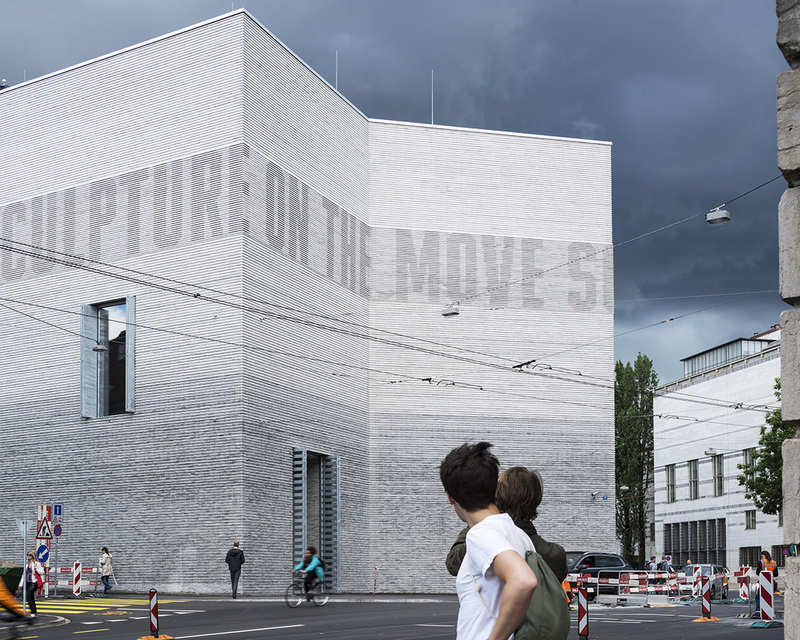 For example, a photograph of the exterior of the Kunstmuseum Basel with a car going past obscures the view, but then the building is located next to a busy road and there is usually a car (or a tram) going past so this is a typical view from that location, cars are a part of the view. The road needs to be crossed in order to reach the Museum. In future I will try to make more mistakes, try to take it as it comes……see what happens.